In this guide, I am going to provide you with all of the details that you need to explore and photograph this beautiful lighthouse. 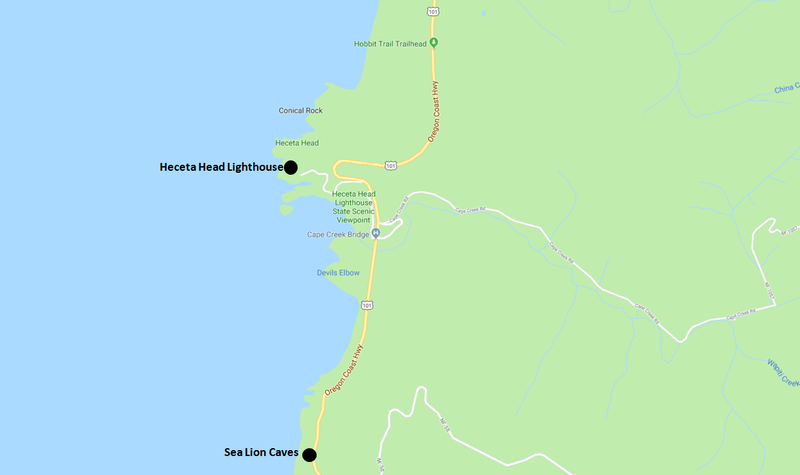 I will outline the best ways to get to the Heceta Head lighthouse, where to stay when you are visiting, and which other attractions are near the lighthouse. I am going to give you some pointers on where the best places to photograph the Heceta Head Lighthouse are, which trails near the lighthouse are worthwhile exploring, and the best time to visit the Heceta Head Lighthouse. With this handy information all in one place, you should be able to make the most of your visit. The Heceta Head Lighthouse is situated on the rocky Pacific Ocean coastline in the State of Oregon in the United States. 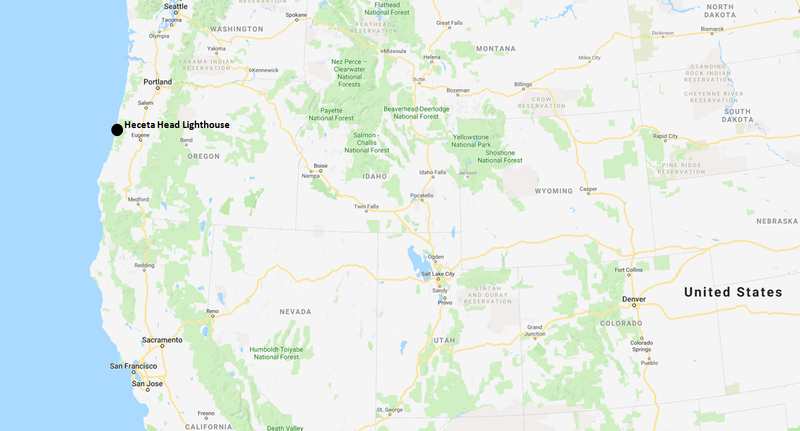 This is some of the most beautiful coastline in the country, so if you are planning a visit I would strongly recommend that you either fly into Seattle, Washington or Portland, Oregon and then drive down the coastline towards the lighthouse. Highway 101 will take you right down the coast and past a number of other amazing attractions, which I will outline in this guide. The closest city to the Heceta Head lighthouse is the city of Florence, Oregon. 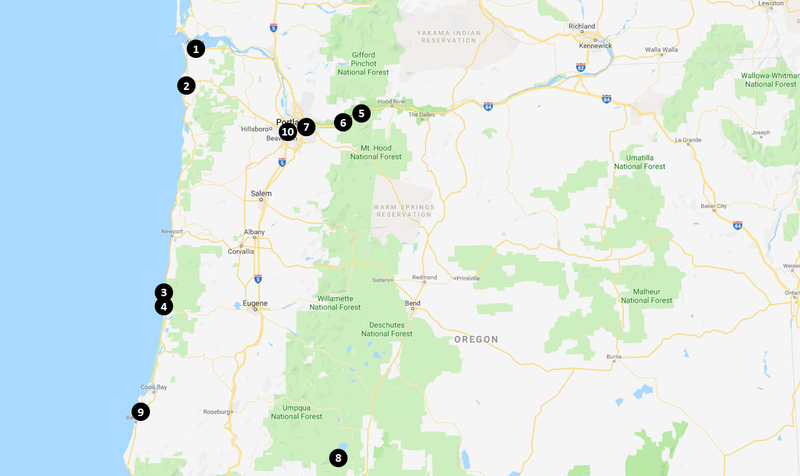 It’s a smaller city, but it does have plenty of hotels and campground nearby, which I will outline for you later in this guide. 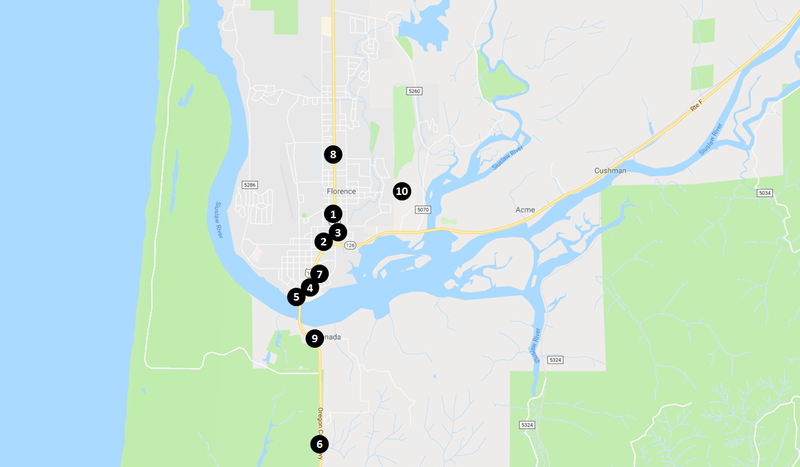 If you are interested in exploring the area, I have listed some of the distances and drive times to some of the other more notable attractions in the area for you to review below. Coming from either the North or the South, you will take coastal highway 101 to the Heceta Head Lighthouse. There is a dedicated parking lot next to the beach and a hiking trail that will take you up to the lighthouse. 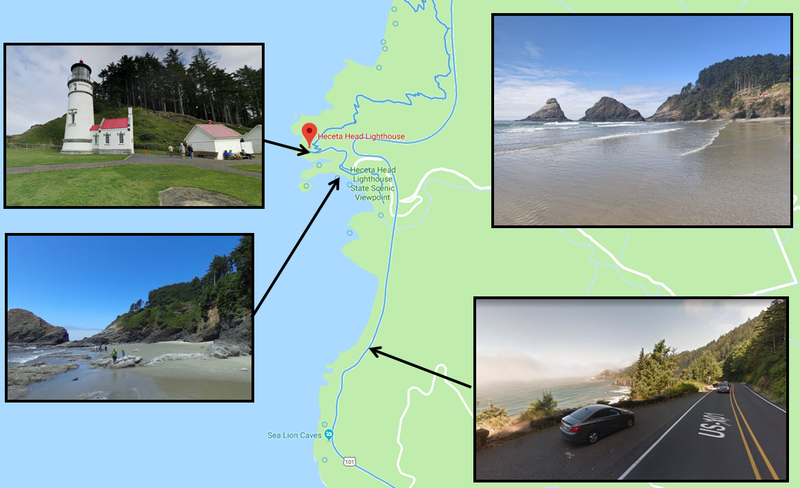 To provide you with a more detailed layout of the Heceta Head Lighthouse Scenic Viewpoint, I have included a detail map for you to review below. The Heceta Head Lighthouse sees a fairly steady stream of visitors throughout the year, but it doesn’t get so busy that you will have to deal with overwhelming crowds or wait long to get unobstructed photographs of the lighthouse. However, if you are looking for the ideal time to visit when the number of other visitors is the lightest, I have included some data on tourist interest for you to review below. NOTE: The chart below is from Google Trends and shows the relative amount of Google searches for the Heceta Head Lighthouse by tourists throughout the year. The numbers are calculated relative to the peak month, which is mid July. For instance, March 18th saw roughly 73% of the searches for “Heceta Head Lighthouse” as the day of July 15th, which was the peak day. When visiting the Heceta Head Lighthouse, the closest city to find accommodations is Florence, Oregon. There are a number of hotels in the city at different price points, which I have outlined and mapped out for you below. In addition to the hotels in town, there are a number of good campgrounds in the area as well. If you are planning on doing some camping when you visit, I have listed some of the many campgrounds for you to review below as well. As I mentioned above, there are a number of good campgrounds close by the Heceta Head Lighthouse on the Oregon coast. I have included some of these campgrounds below for you to review. 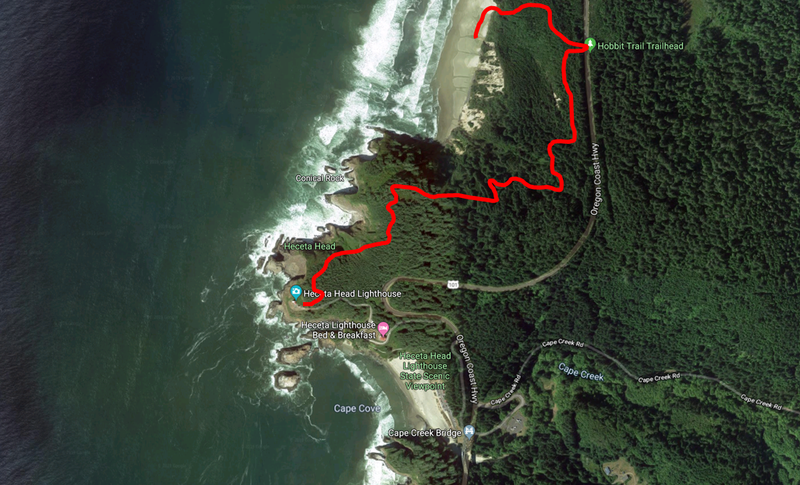 If you would like to do some hiking while you are at Heceta Head Lighthouse, the trail I would recommend that you explore is the Hobbit Trail from Hobbit Beach to the lighthouse. You can start your hike at the beach or at a trail head that is located on Oregon Coast highway 101. It is a moderately easy 2-mile hike with only about 457 feet of elevation climb, so most hikers of all experience levels will have no problems with this hike. There are a number of really great spots where I would recommend taking photographs of the Heceta Head Lighthouse, which I have outlined for you above. My favorite spot is the pullout on Highway 101 just South of the lighthouse. It offers a great view of the lighthouse from across the water and really showcases the rocky shore that the lighthouse is perched on. In addition to the Heceta Head Lighthouse, there are a number of other great things to see and do on the coast of Oregon. To help you make the most of your trip, I have outlined some of the other top attractions in the area for you to review below. The Heceta Head Lighthouse is one of the most beautiful lighthouses in North America, if not the World. Much of that has to do with the beautiful Oregon coastline that the lighthouse is on. Below are just some of the many amazing shots I was able to get when I visited the Heceta Head Lighthouse. I agree. That’s got to be the prettiest lighthouse ever. It’s a gorgeous coastline, isn’t it?